Romeo Okwara stepped in and started the last four games of the season at defensive end last year. But by then it was too late. The damage had been done. Jason Pierre-Paul had already been injured after playing virtually every snap in the first 11 and a half games. 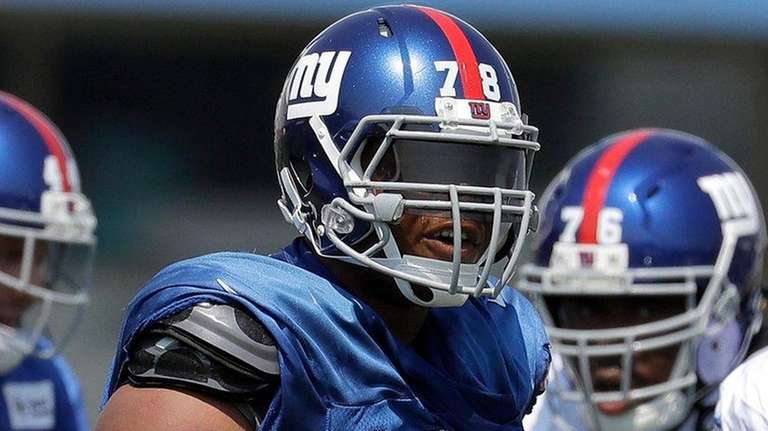 The Giants would like to ease that workload of Pierre-Paul and Olivier Vernon, the other starting defensive end who hardly ever came off the field. That would allow the pass-rushing, run-stopping duo to play better, longer and more effectively on the back end of the schedule and potentially deep into January. But to do that, the Giants need someone who can fill in for them without giving up much in the way of production. That could be where Okwara comes in. There are others in the mix. Kerry Wynn is back with the team. The Giants signed veteran Devin Taylor this offseason and drafted Avery Moss. But Okwara was the guy last year who after making the team as an undrafted rookie from Notre Dame, became the starter in Pierre-Paul’s stead. Ideally this year he won’t have to do that and can instead replace him or Vernon for a series or two each game. In that way, Okwara may not ever start a game this season and yet be a more valuable player than he was a year ago.